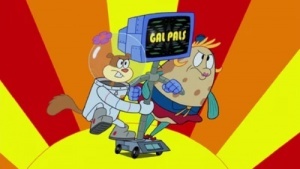 Girls' Night Out (Episode) – From SpongePedia, the biggest SpongeBob-wiki in the world! 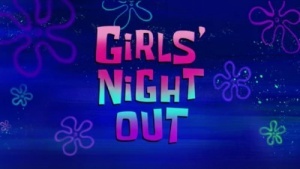 Girls' Night Out is a season 11 episode. Sandy invites Karen and Mrs. Puff out for a night on the town, so the ladies decide to blow off some steam. This page was last modified on 22 February 2019, at 11:16.